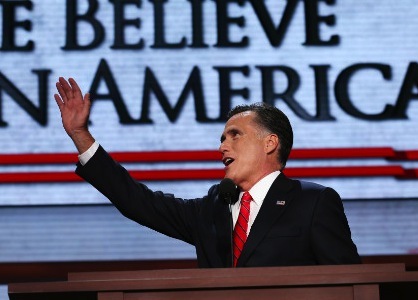 Thursday night, Mitt Romney officially became the Republican Presidential nominee. Romney has been the clear choice for the Republican Party for months, but now it is completely clear. At the Republican National Convention, Romney drew the line in the sand against President Barack Obama and the Democratic Party. In arguably his biggest speech so far in his political career, Mitt Romney hit the right notes with Republicans and conservatives throughout the nation. Romney pulled the typical Republican move and decided to bash President Obama. Romney suggested that Obama’s Presidency should have maintained the same level of excitement from his campaign in 2008 through the present day. Romney spoke of his hopes for Obama to do well as President. However, Romney’s Republican affiliation must be noted as Republicans worked as hard as any Party ever has to try to keep a President from doing his job. At every turn, the Republicans in Congress tried to block Obama’s legislation. This occurred even when the legislation Obama was trying to pass was something that the Republicans supported fully prior to Obama’s adopting of the ideas. But Romney is adamant that it is now his time to try his hand at running the nation. Romney is calling on Americans to tell Obama that it is now time for another change. Will Americans do what Romney wants or will they realize that it was the Republicans who blocked Obama’s legislation and that what Obama has been able to pass has proven to be beneficial to the United States? A few factors have already effected Romney’s campaigning. The first factor hurting Romney is that the Republican National Convention was cut short due to Hurricane Isaac and the wreckage the storm is causing. The second factor is that it seems the American people might not be ready to pass the torch back to the Republicans with memories of President George W. Bush and the damage his administration did still fresh. In fact, during the speech, protestors chanted disapproval in the Republican way and the way that Republicans prefer to protect the upper class as opposed to anyone else in the nation. 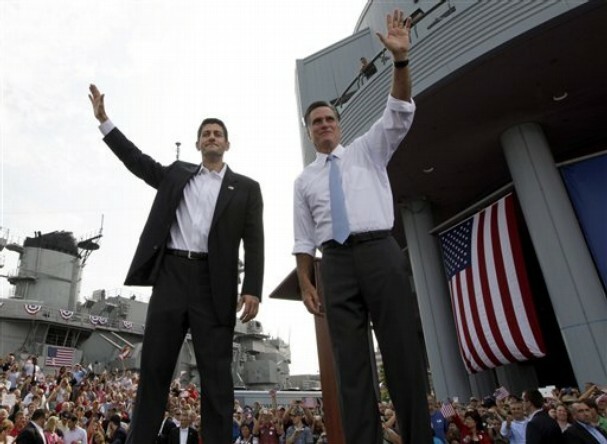 Romney and his running mate Paul Ryan are working hard to convince the public that they are the ones to vote for. The smartest way to do it for them will be to get the conservatives to come out and vote. The middle voters might be hard to get onto their side, but if they can get the right amount of Republican voters to the polls in the right swing states, they just might get the job done. The big question is does Romney bring anything new to the table? It is believed that if Romney takes office, then we will basically return to the policies and the days of President Bush. This is something that no one in the United States wants. Romney must change the perspective of voters in order to make sure this does not cost him the election. It would be one thing to lose to Obama for Romney. It would be another thing to lose to Obama because of the memory of George Bush. Furthermore, it is not just a matter of knocking Obama and saying that it is time for a change. Obama has been progressing and has had a clear plan. Romney needs to not only provide the knowledgeable voters with a clear plan, but he must also prove to them that his plan is a better alternative than Obama’s. This is no easy task. Historically, it is much easier for a president to retain office than to lose office. Romney must not only knock down Obama, but also prove that he is without a doubt the leader of the next generation. Election Day is really close at this point. In no time it will be time to go over to the polling stations and vote for either Obama, Romney, or a third party candidate. In the next few months, we will see great points made and much mud slung. When it is all said and done, the only thing that will matter is who has more votes in the Electoral College and as of right now, the projections are in favor of President Barack Obama retaining office for another four years.